The game of basketball has always been termed a competitive sport. Whether it's the crosstown rivalries that run thick or the driveway pick-up game, each instance involves some heavy footwork. Most of the user's ability to perform basketball related movements rely heavily on their physical fitness levels. Like any sport, one can put the hard hours in to perfect their craft and reach optimal playing shape. While most of this extends to the internal levels, the external gear also plays a key role in your success. With basketball, there are a lot of adverse movements that the body isn't accustomed to performing. Lateral changes, quick body shifts, and other such inauspicious movements make up the game we have come to know and love. These prescribed movements center on one particular area of the body: the feet. Knowing that this extremity makes up a bulk of the movements, the proper footwear is key to performing at the best of your capabilities. Today we bring you 10 basketball shoes that are best prescribed for ankle support. We also have created a buyer's guide that will shed some light on the importance of a supported ankle and describe the different components of the shoe that make this happen. Finally, we answer some of the burning questions that might lack the depth you need to make an informed purchase decision. Nike is one of the top names in the industry, so it is no wonder they have excelled in producing basketball shoes with the proper ankle support. The Air Versitile is a mid-rise take on the proper support means. 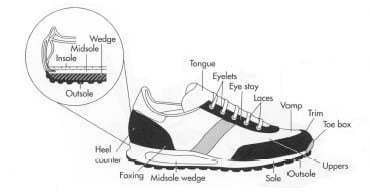 The interest of the user is immediately peaked when viewing the insertion point of the shoe. The back-ankle padding extends from the interior of the shoe and features a small space between the rear of the shoe and the padding mechanism. This technique is used to reduce the blunt of the force occurring at the ankle area. It is also a responsive measure that works to rebound the ankle immediately after pressure is emitted or applied to the foot. This system is a revolutionary technology that is proprietary to the Nike brand, making this model an intriguing take on ankle defense. The shoe is designed from synthetic means and features layering at the outer shell. This helps to keep the proper mold surrounding the foot while also combating abrasions and other such threats to the foot. The upper of the shoe is treated to with mesh material, providing lightweight support at the insertion point. The interior also features additional intrigue at the Achilles region. A notch is inserted to prevent movement in this region, increasing the lockdown of an area that is often viable to injury. An Achilles injury will set the player back months to years, so the inclusion of this notch is something that shouldn't be taken lightly. At the outsole, there is an added gel-like ball that rests directly under the heel. This helps the user perform the explosive movements they need to get to the rack and severely reduces the shock felt at this region. This is one of the most responsive models Nike has released to market, making it a top contender for proper ankle support. Adidas is a second player in the basketball shoe market. Their Cloudfoam Ilation model is the perfect fit for those looking to apply ample support to the ankle region. This shoe is constructed of leather and fabricated means, making it a contender for a strengthened build. The upper of the shoe is treated with the reinforced leather, providing a sound and strong lockdown hold on the ankle. The tongue of the shoe is thick, and the laces lay flat, applying the proper means to lockdown the top of the foot. Sticking with the upper region, the components extending to the interior of the shoe are all made of a thin, breathable mesh. This keeps the proper air flow during movements and for long durations. The Cloudfoam technology is introduced at the sock liner, extending to the insole. This foam is thick and responsive, which helps to reduce the shock felt at the foot and helps to properly surround the foot in comfort. The rubberized outsole is also thick, and it is layered to reduce the shock extending from court contact. At the undercarriage, little grippers extend to give you the maximum stability and traction you need to perform lateral movements. The rear heel counter features a synthetic build and extends from the back of the outsole. It reaches to the height of your ankle, producing the necessary amount of holding and strong backing you need. This helps to reduce twists and turns at the interior and provides a resistance technique at the exterior. ANTA brand is still in their infancy, but their design trends have placed them in the proper positioning to earn a spot on our list. The K13 model was developed in 2017, with recency providing an advantage to the ins and outs of support. The shoe features a primarily rubberized build, with mesh and synthetic materials also playing their part. As the model relates to proper ankle support, there are a few telling areas to note. The first is the outer shell. The shell is constructed of a breathable mesh that extends to the upper of the shoe. This keeps the overall weight of the shoe light, while also extending properties of lockdown to the ankle area. Sticking with the outer coverage, the outsole is comprised of a thick rubber and utilizes a proprietary auto-arch technology to provide support at the midfoot. It is shaped as a giant shank that lifts into the arch area, producing better torsion for the user. The internal usage of this design helps at the heel region, keeping placement at the rear of the foot. This helps the user exercise the proper footing and reduces slippage. Reverting the discussion back to lockdown of the ankle, a large, synthetic material is used to wrap around the ankle. This keeps the placement of the foot in the proper position and severely reduces any push and pull at this area. This helps to limit ankle twisting and provides the user with the necessary stability means they need to perform lateral movements and timely cuts. The last proprietary mean associated with ankle support is the A-StableUP technology. This technology works directly with lateral movements, helping to reduce rolling and providing a solid platform for extensive movements. One of the latest additions to the Adidas basketball line is the CF Ignition. The Ignition is the upgraded model that helps meet all intensive needs the consumer may have. It is comprised solely of textile and synthetic materials, providing a set direction for the shoe to take hold of. This is important for consistency means, because it allows the shoe to extend the reach to other areas of importance. One of these areas is the heel counter. The heel counter features a back padding that wraps around the shoe, providing ample support to the ankle. It lifts about halfway up the shoe where it is met by a reinforced material that reaches to the insertion point. This dual-force keeps inner movement low, reducing twists and tears of the ankle ligaments. It also produces a strong-hold for stability, keeping the user in the proper upright positioning. The rubberized outsole is thick, reaching about 1.5 inches into the midsole. It is also form-fit, meaning it applies the necessary grooves to meet the common arch types and widens at the toe box and heel region. This fit keeps the footing of the user in-check, while also allowing for increased stability. The undercarriage of this outsole is treated with grooves and patterns, catering to the common pressure points at the bottom of the foot. This helps to reduce pressures and absorbs some of the blows we receive when performing lateral or adverse movements. The toe box also features a thin coating that acts as an abrasion resistor, keeping this area of the foot protected and secure. These simple components help make a strong case for this mid-rise option to excel in the ankle support category. Under Armour has steadily built their brand to cover all avenues, making them a major marketer in the shoe space. Their ClutchFit Drive 3 model releases from their high-top fitting line and produces all the necessary means to provide ample ankle support. The ClutchFit mold takes on the properties of a synthetic material and is proprietary to the brand. This upgraded fit allows for the material to stretch at the midfoot and the heel, producing a proper fit for most foot sizes and types. It also contains an upgrade to the ventilation system, opening up new air waves for proper breathability. The true intrigue is at the internal and external fixing of the heel counter. There are internal components that are shaped like shanks. These shanks better help provide stable support mechanisms and work to keep footing in the proper alignment. The internal build features a form-fitting insole, which helps compromise to the different foot sizes and types. The internal working also has an Achilles pillow, which helps to soften the pressure placed on this area. This pillow also acts as an enforcer for comfortability, introducing a soft feel to a delicate area of the foot. The upper is treated with a mesh design and the tongue protrudes about 3 inches up the foot. This provides the ample lock down system needed to keep the ankle from twisting and turning during pace of play. There are some low-cut models that can introduce some of the proper techniques in supporting the ankle. The Nike Air Max Infuriate Low is just one of the sound examples fitting this description. It is made from synthetic and mesh materials, keeping the overall weight of the shoe low. A dual-layer outsole is what sets this shoe apart. The outsole is comprised of rubberized components and is stacked to provide a stronger support. This support system thickens as it reaches the rear of the shoe, morphing into a dual-purpose heel counter at the rear. This thickness occurs at the exterior, keeping the interior spaced and form-fit for the user. There are also shock balls inserted directly below the heel. This amplifies the user's bounce and reduces any unwanted pressures to the foot. The upper is treated to a padded collar and tongue, adjusting to the correct amount of thickness to produce ample holding on the ankle. The insertion point is curved to ensure the front and the back both hold enough rise to reach past the ankle. This is a necessity for claiming the correct operations in the ankle area. Flywire technology is the proprietary means Nike uses to emit lockdown support at the ankle region. This greatly reduces the risk of twist and keeps the foot firmly planted within the shoe, regardless of movement types or extensions. While the career of Derrick Rose has seen better days, this superstar inspired model will provide the necessary support you need on the court. Adidas constructed this model with a unique upper, placing side-by-side rises at the ankle area. This helps keep placement within a particular region, limiting the adverse movements at the ankle area. It is made from synthetic and leather means, producing the strength you need to apply force and not sacrifice on performance. The outer shell and upper are treated to Shockweb technology, which is a spaced mesh that introduces breathability and provides an ample amount of lockdown at the insertion point. Boost technology is also introduced at the midsole and outsole region, which is a staple of Derrick Rose's game. This technology helps you perform quick cuts and shifts, countering pressures with a comfortable feel. The cut of the upper is also something to be noted. It is cut like a low-top shoe, allowing the user to gain a greater range of motion in their cutting and lateral movements. It also takes on the properties of a mid-rise in the amount of support and lockdown it provides. This innovative inclusion keeps people raving about this model, even though Derrick Rose is well past his prime. Keeping the conversation within the realm of the NBA, we have a release from one of the all-time greats of the game, Patrick Ewing. His partnership with 33 Athletics has allowed for the creation of their flagship basketball shoe. This high-top model is fully surrounded by material with reinforcement extending to all regions of the shoe. This solid design sacrifices some of the lightweight functioning you may be accustomed to, but the gains in protection supersede this notion. One of the biggest draws that this shoe holds to the ankle support category is the reversible strap that surrounds the insertion point. It can be used as a lockdown to the front of the foot or can be worn at the back as a heel counter. It tightens to produce a sound hold and helps to limit unwanted motions from the ankle area. The material build is primarily leather, with some synthetic means mixed in. To say that this model is one of the strongest on the market would be an understatement. Stitched designs keep the fabricate collected and reduces the chance of abrasion and wear. There is also a thick rim of padding extending from the collar and tracing to the interior, keeping the proper lockdown on the heel to ankle area. A thick tongue is introduced to keep the fit sound and the surrounding all-inclusive of the ankle region. This shoe was meant to keep stability in all regions and it greatly reduces the chance of ankle turns and twists. Nike's contract with one of the best to ever play the game seems to be everlasting with the 13th installment of the Lebron James footwear line. Climbing the Roman numeral ladder has only proven to be more effective for one of the industry's largest brands. This model features a unique design, tailored to meet the needs of competitive players. The Zoom L.E.A.P. system is brought the outsole and midsole area to help the user access additional areas of explosiveness in their push-off and cuts. This lends the outsole to take a form-fitting shape with arch rise to better suit differing feet types. Zoom Air units are included at the forefoot to help the user generate better responsiveness to pressures and movements. The hour-glass shaping of the heel counter spreads the stability at different regions of the ankle. Covering the bottom and upper portions of the ankle keep that region to a tight lockdown and helps introduce the proper footing. There are also two large pillars that extend to the sides of the ankle. These pillars are met by an extended, mesh tongue that keeps the ankle in a stable position. These areas rise past the ankle in order to emit the proper holding positioning. This keeps the foot fully housed within the shoe and limits any unnecessary movements from the ankle/heel area. The back of the heel counter is also cut with a small extension, providing pin point accuracy to a region of the ankle that is often subject to the cause of injury. This product line continues to concur for the rigors that the game presents, helping to create one of the most responsive products on the market. Our last inclusion is set for those buying on a budget. AND1 is a brand that has been featured for decades, pioneering the way basketball shoes were made and shaped. It is only fitting that their Typhoon model, which was built for increased ankle support, be featured in our reviews. Comprised of mainly synthetic materials, this model takes on a stitched design pattern that holds reinforcements to high standards. The heel counter of the shoe features layers of this synthetic build that help compromise for any type of directional shifts. The pattern goes in many directions, as do our feet during pace of play, so this keeps this region responsive to our movements. A thick, padded collar provides an even-keeled wrap around the ankle, circling the support to a snug hold. This keeps slippage as a low risk and reduces the chance of you blowing out the bottoms of the shoe when performing shifty movements. The lacing pattern fully extends to the top of the tongue, providing the necessary amount of lockdown needed overtop the foot. The simple design at the outsole keeps the user's traction in-check and introduces the proper patterns for reducing shock. The insole is also molded with a memory foam substance, providing comfort to the key areas of the foot. Don't let the simple design fool you, as these mentions make for the proper means to ankle support. From this video, we learn a few things about basketball and ankle injuries. The first thing to note is that protection can only take you so far. This particular injury was unpreventable. The player landed awkwardly upon another's foot, using this region as he primary area of push-off. The player also made contact with a flat surface, which angled his foot on impact. There was no way around this because he was not looking directly at his feet, unable to locate the path of least resistance. The second thing to note was that this movement was pre-determined on his drive. 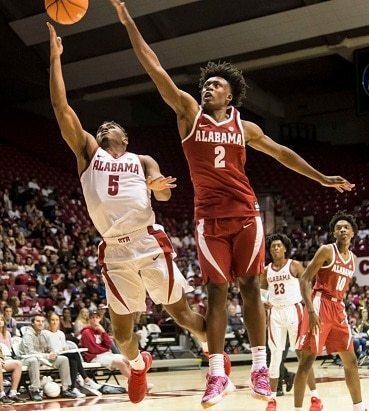 He knew the direction he was going to take to get to the hoop, which leaves no real calculation for landing and push-off points. No matter how much you practice your directional shifts, one cannot accurately predict the placement of an opposing player or the player's foot positioning during a drive. Ailments are a common facet in most competitive sports. 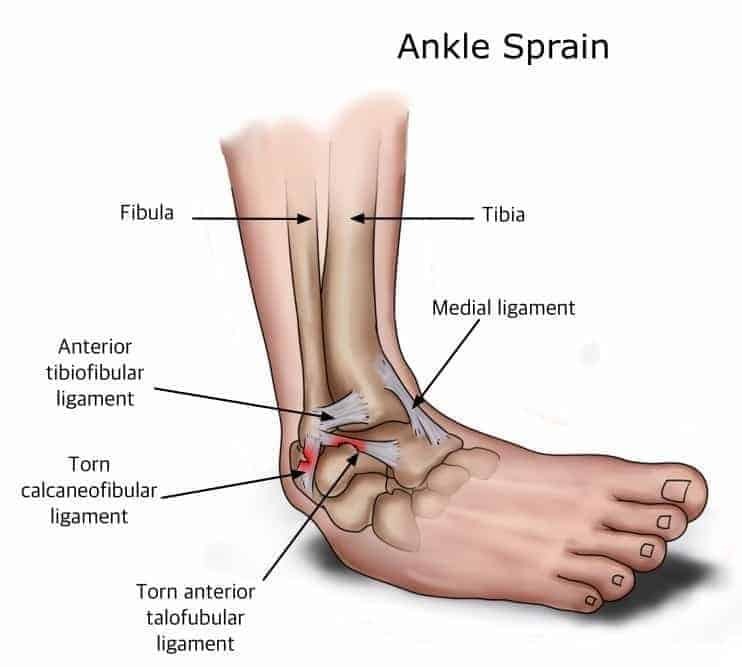 The number one location for injuries to occur in basketball is in the ankle area. We know this area is a central hub for contact, twisting, turning, and pivoting, so it is only fitting it presents the largest at-risk area. Ankle injuries occur in a multitude of ways. Landing on an uneven surface is one of the most common. Since the court is a flat surface, we become comfortable with the landing and push-off, often becoming reliant on it never changing. When it does, it catches us off guard and our ankles can twist. An ankle twist is simply excessive pronation of the ankle. We are pushing our ligaments in our foot to their extremes. This excessive stretching will wear on the ligaments causing tears over time. A simple twist does not require much recovery, due to the quick healing properties of the ligaments. If the ligaments become torn, due to extreme pronation or lack of treatment to the sore region, the recovery period is far extended, and the healing process can place you out for a few months. Reaching the level where your ankle experiences tears is also a damper for the quality of the heal. Most injuries will never fully seal up the ailing area, causing for a bulge in the ankle or adverse positioning of the heel. Our shoes play an essential role to limiting these injuries. Below are a few specific factors that you should look for in your footwear selection. While these factors are not all-inclusive, these are the main categories to be aware of and to have practiced knowledge with. Two of the most popular basketball shoe types for ankle support are high-tops and mid-rises. The high-top shoe fully covers and houses the ankle, usually extending 1-3 inches above the ankle. Keeping this region fully immersed in the shoe is done with intention to improve lockdown. Shoe companies will introduce different forms of padding and foams that surround the ankle and extend to the heel. The padding will limit the space between shoe and foot, providing less wiggle room or turning space. The majority of these comments can also be made for the mid-rise build. It usually eclipses the ankle or will fall just short of complete coverage. Some people enjoy the exact coverage, citing additional materials as an extra weight on the shoe to slow movements and cutting. The low-profile build can feature the lightweight titles, but it will not provide the lockdown support you need to keep the foot housed and stable throughout the different streams of movement. 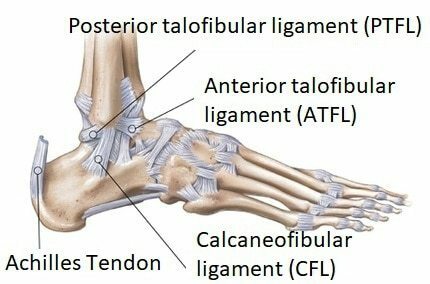 ​As you can see, most of the major ligaments making up the ankle are interwoven. They overlap one another, which makes this area viable to major injury. Due to the complex design of the ligaments, ankle damage often leads to a tearing or cutting into more than one ligament. While the target area remains relatively small, this diagram only accounts for the ligaments of the, falling short of bone construction and other such structural areas of the foot. Comparing the two diagrams helps the users locate the proper shoe function for the selected area, increasing protection and knowledge of the area that often causes basketball players problems. The main intrigue drawn from the sole areas is their ability to provide stability, increased support, and proper footing. The interior bed of the shoe is known as the insole. It often carries properties that help with shock absorption, even-keeled footing, and stability. It is often a flat surface and it will usually take the mold of the foot. This is important to note for users with flat feet or raised arches as you are going to want to heighten the lift at the insole or create a ridge for increased support at the midfoot area. This can usually be accomplished by placing an insert into the foot bed. A removeable insert will help users with flat feet or raised arches gain the proper stability they need to perform. The area directly below the insole is known as the midsole. Its main goal is to provide the user with shock absorption techniques and increase comfort for the user. Often carrying a foam-like build, the EVA midsole is the most common on the marketplace. It provides the necessary amount of cushion to absorb heavy contact and limit the effect taken on the foot. This area works from the front of the shoe to the back, holding importance to both the toes and the heel/ankle areas. The last area of intrigue is the outsole. It is usually made up of rubberized materials that correlate to generating power in your push-off, providing traction to the surface, and reducing pressure on any one portion of the foot. The push-off power is gained through the reinforcement of the build. A thick layer will help you generate more power without heightening the risk of ailment to the foot. The traction piece comes at the grooves or extensions in the design. Some outsoles will feature a grooved pattern, which helps cater to the areas of potential impact. Some will feature extensions to help increase traction on a multitude of surfaces. All properties play a role in helping you develop the proper cutting and shifty, lateral movements associated with the game of basketball. One of these areas is the upper. The upper is located in the area surrounding the insertion point for the foot. It is often reinforced using leather, synthetic, or mesh materials. The reinforcement is important because is provides the starting point for lockdown of the foot. The primary property of the upper is to provide abrasion resistance and to lockdown the top of the foot. Different lacing and shoe tongue combinations will determine the strengthen of the hold. Flat laces and a thick tongue usually produce the strongest hold on the foot. The second area is the heel counter, which is located at the rear of the shoe. This area is usually built from a strong material and will often extend off the rear of the shoe. This area correlates to high levels of stability, upright movement, and proper lockdown of the ankle. It also acts as a counter to shocks and pressures, increasing the overall comfort for the user during transitioning movement. The lockdown piece helps prevent the rotational pull on the ankle. This function will extend to the interior of the shoe, keeping the foot wrapped with cushions or padding. This push-pull blocker reduces the movement in the ankle area, helping to prevent twisting and coming out of the shoe. Extra attention to detail in these areas can make the world of difference when it comes to discovering the proper means for ankle support. How do I tie basketball shoes for better ankle support? The mistake users most often make is settling for the way our shoes are laced. Most laces are circular, which prevents them from laying flat. The first step to improving ankle support at the laces is to replace them with flat or fastened laces. This keeps them tight to the top of the foot and helps them work with the tongue to apply the proper holding. Tie them tight and keep the pressure applied all the way up the tongue for proper support increase. What is the best solution for weak ankles? If you have weak ankles, you are going to want to increase the comfort of the interior of the shoe. Memory foam inserts, gel-like inserts, or orthotics can play a huge role in helping to support weaker development in the ankle area. The cushion reduces the blow on the ankle and helps to absorb the contact at a higher rate. You can also tape your ankles prior to shoe placement. This helps keep the alignment of the ankle and is good practice for those who have weaker developments in these areas. 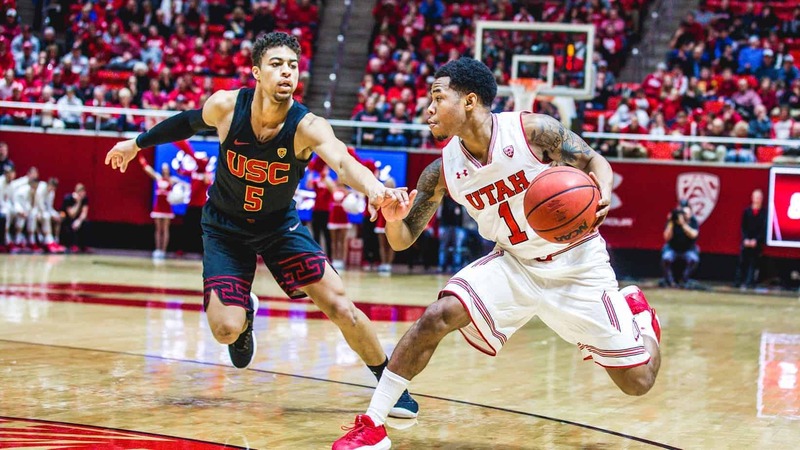 Most basketball teams will have trainers that can apply the correct amount of pressure and design with the tape, so ensure you seek the proper form of assistance when taping the ankles. Are braces, straps helpful in ankle support? In short, braces and ankle straps can be helpful. This assistance is directly correlated to correct usage. Strapping an ankle too tight can permanently damage the ligaments and pose a greater risk than they do supportive means. The same can be said for braces. Wider shoes help compromise for this additional space needed. Bring a brace with you when fitting so you can apply the feel at the source. These two sources provide means that increase stability of the ankle and keep the positioning in the correct terms. 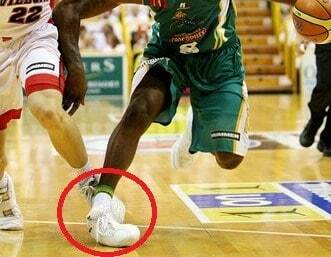 Are high top basketball shoes the only solution for ankle support? Just by glancing through our product list, you know that there are additional solutions to support. It is all about the included properties that make the support mechanisms effective. For example, a low-top build can provide the same amount of support as the high-top counterpart if it introduces the necessary techniques in holding, lockdown, padding, and other such relations. The mid-rise option is often said to be very effective for ankle support, so this question lends an answer pointing to the individual properties the model of shoe has. Are Ektio shoes good solution for ankle support? Ektio is a brand we left off our product list, due to the similarities between properties. These shoes represent the ample means for support due to the ankle wrapping, high-top functionality, and proper heel counter. The lockdown methods keep a full surrounding on the ankle, holding it in the proper positioning. The heel counter is both reinforced and responsive, catering to individual movements. The high-top design keeps the foot fully housed and protected. Checking off all these items and more makes this brand a proper selection for increased ankle support. How to dunk to avoid ankle injury? The ultimate achievement in the sport of basketball: the dunk. The make-up of a dunk directly relates to your ability to gain explosiveness from your surface and the proper bounce from your shoe. To avoid injury, practice generating your push-offs and take-offs from different areas of the foot. Not only will this strengthen your explosiveness over time, but it will also reduce the pressures placed on any one area of the foot. This helps diminish your chances of ankle injury and helps you reach the rim in no time. Best basketball shoes if you already have ankle pain? If you are already experiencing some pain, it is important to ensure the ankle is fully surrounded. The four-wall coverage mentioned in some of these reviews is important to reducing unwanted movement from this area. This can also help to lessen the blow on the ankle, no matter the shift or direction you are traveling in. A thick outsole and operating midsole will help with shock concerns, so it is also important to look for these items if you are already experiencing pain in the ankle region. After scaling through the list of potential options, it was really tough to narrow the selection down to a clear-cut winner. After much delegation and comparison/contrasting of features, we chose the Nike Air Versitile shoes as our favorite. The biggest draw to this shoe was the response and separation between shoe and mechanism. This citation is drawn at the insertion point. The science behind the heel counter that leaves space for some extension is genius. We talk about lockdown and holding consistently, but this grip can't be held too tight. The user's range of motion is greatly improved with this model, which is an important factor when considering the game of basketball. This allows for cutting and shifting with this built-in counter applying to any direction. This small feature makes such a large impact that it was hard to put another product before it. This also allows for easy fitting, helping to assist any foot size. Aside from this feature, any additions seemed to match up with the other inclusions. The other selections will also make for a fine selection, but this small feature set this model apart from the competition.